I can set you on the right pathway for any fitness goal. Whether it’s to improve your health and fitness and increase your mobility or if it’s simply to be able to keep up with the kids, or it may be that you want to run a marathon. I have the expertise to help you individually on your fitness journey. It is important to keep changing your fitness programme and advancing it as your fitness improves. Too many people get stuck in a rut doing the same gym programme or fitness class. This is when fitness progressions slow down or even come to a halt. Let me, as your personal trainer, plan your training programme to actively progress you each week whilst avoiding the likelihood of injuries or lack of motivation. Use your own body weight to create tone and definition. Use free weights to help build lean muscle mass and increase bone density. Do Pilates training to create a strong core/back and fantastic looking abs. Yoga sessions are a great way to create a long lean body. Learn how to develop more shape and tone more efficiently with High Intensity Training. Improve your shape with weight training. This can be anything from getting leaner and more shapely to bulking up and putting on muscle mass. Weight training doesn’t mean that you will automatically bulk up. If you are female it is incredibly difficult to get really big, you just don’t have the hormones to allow that! The more muscle mass you have the faster you will burn calories, lose body fat and get into great shape. For men that want to look bigger and build muscle mass it is very important to have a nutrition plan to compliment the training that you are doing. With my help you can get stronger and more muscular faster. With a full postural analysis to assess what areas we need to focus on, we can then see what you need to strengthen or lengthen. With a technically correct program we can then improve any postural imbalances that you have, whilst relieving tight stiff and sore muscles. Did you know that good posture can actually make you look slimmer and more confident? Get to the cause of the problem whether it be an injury or posture related. Our full assessment will enable me to give you the best advice. I will give you exercises to do at home or in the gym to help your recovery and correct faulty movement patterns. 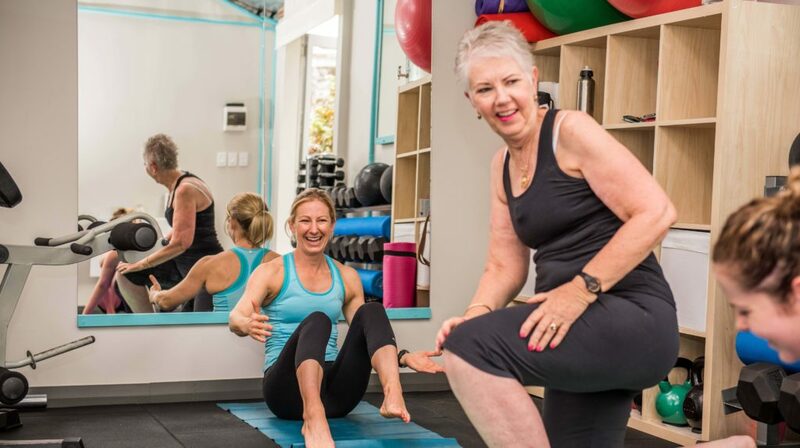 Learn how to incorporate better posture and exercises into your everyday life with a personalised rehabilitation programme. I will determine what it is that is giving you recurrent pain or injury and educate you on how to self manage and fully understand why it is occurring. No need to put up with back pain or painful injuries anymore. I will also work alongside your health practitioners to give you the best service and results possible. Exercise can have a positive effect on your health and help to cure all number of ailments, diabetes, high blood pressure and heart disease to name just a few. Why wait until you have a heart attack to seek help. Get safe and effective training with a special populations qualified Personal Trainers. Improve your way of living and enjoy life more. Don’t leave it till it’s too late. Are you unsure of what to do during pregnancy or how to get your pre-baby body back? Do the right thing and gain advice during all 3 trimesters. Keep fit throughout and make your birth and recovery better. Exercising during pregnancy carries a wide range of benefits for both the mother and baby. Experience less labour pain and a more comfortable delivery. Enjoy faster recoveries after the birth of the baby. Are less fatigued during the pregnancy period. Have stronger back muscles which helps provide much needed stress relief, better posture and the prevention of injuries. Regain stamina and energy levels faster after birth, which is very essential for you to look after your new arrival. Improve their circulation, helping to prevent/reduce fluid retention, varicose veins, hemorrhoids and prevents constipation. Have more control over weight gain. Whilst exercise is beneficial for you and your baby it is also important to not over do things. Find out what you can and can’t do. Are you stuck in a rut and negative headspace with your diet, body image, motivation or life in general? Then NLP can help you enhance your training and mindset. With mental exercises and techniques to turn negative thinking into positive powerful beliefs. If you believe you can do it, then you will achieve it! Together we can find solutions to any barriers as they arise, ensuring you achieve your goals. Coaching can add to your Personal training and is best done in a quiet environment. It can be done as little and as often as you feel you need. I can give you the right training and tools to help you succeed. Stress is now a major influence in our lives. Did you know that stress can have a big impact on weight loss? Being stressed can actually make you fat! Stress leads to an increase in stress hormone – cortisol. If high cortisol levels continue for a long period of time it leads to a break down in body tissues and fatigues the adrenal glands. Constant stress affects your Parasympathetic Nervous System, which results in a slow or impaired digestive system and suppresses your bodies repair process. This leads to chronic fatigue, disease, and immune system dysfunction not to mention emotional imbalances. Exercise, Food, Hydration, sleep and the right supplements can all have a major influence on your internal stressors. Learn how to reduce your stresses and greatly increase your chance of losing weight and increase your life expectancy. Complete a stress questionnaire and receive a food, exercise and lifestyle programme to improve your current stress levels. Take up Yoga or Pilates. Learn which supplements can assist with all different levels of stress and improve sleep. With Biosignature analysis we can reduce your bodyfat % by reducing your stress levels. All of this can be achieved with Nicki, as your qualified Biosignature practitioner, Holistic lifestyle coach, Reiki, Yoga and Pilates instructor.